Why am I suddenly afraid of what he has in mind? … I’ll go call the ghostbusters. I was just wondering, but do you use Paint Tool SAI? Lots of artists use it, but there are also alternate websites/downloads. I don’t – I use Clip Studio Paint, which has some similar functions. Ah. That was the other program I had in mind. I still can’t decide who I liek beter- Summer or Winter! Still getting to know Winter! Winter is more like Lucy too me, but as you can tell, my favorite Hollow Fields character was Summer. Winter has funnier facial expressions. I’d be some kid with a tremendous fuzzy caterpillar, with no visible eyes but a quite prominent anthropomorphic nose. We would go around finding gardens so the caterpillar could get euphoric smelling flowers. Sounds like something off Adventure Time!? Ghosts for everyone! A ghost hen in every plot and a ghost car in every garage! Ghost hens. Wonder what the eggs are like. Get it? 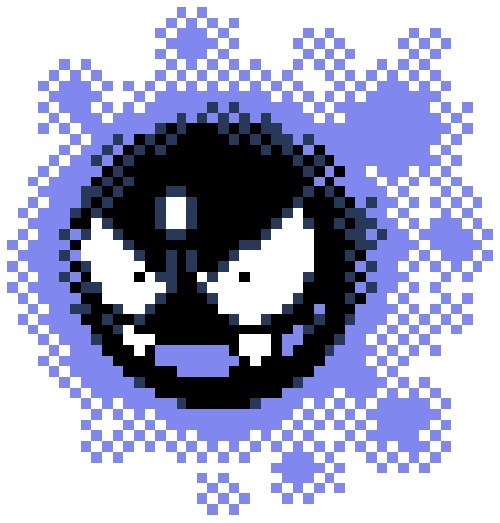 Ghastly? Because its like a word for a ghost, but also something that is terrible.